Elite Traveler, the world’s leading private jet lifestyle magazine, has announced the Top 100 Hotels in the World for 2018. For the second edition of this list, Elite Traveler presents updated picks of the properties that offer the most opulent hotel experiences. Hand selected by Elite Traveler’s editors, the list feature 14 new entries, including the spectacular Fogo Island Inn in Newfoundland. From basking in the foothills of a Unesco-designated wilderness reserve in British Columbia to rubbing shoulders with A List celebrities in Mexico , the collection offers a true ‘round the world’ variety of hotels frequented by those who travel by private jet. 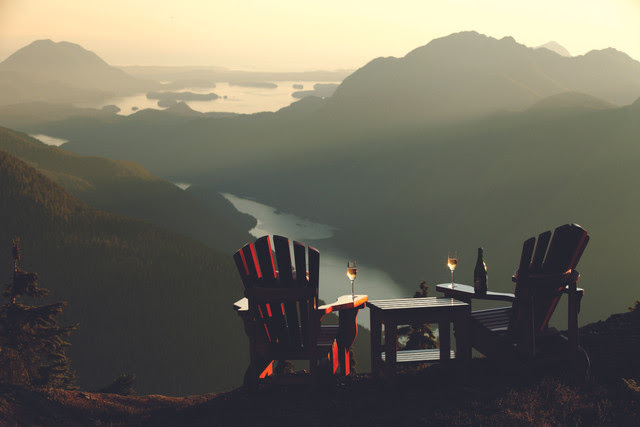 1) Clayoquot Wilderness Reserve a completely outdoors hotel set inside a Unesco park where guests can be flown by helicopter to dine on the peak of a 3,000 ft tall mountain. 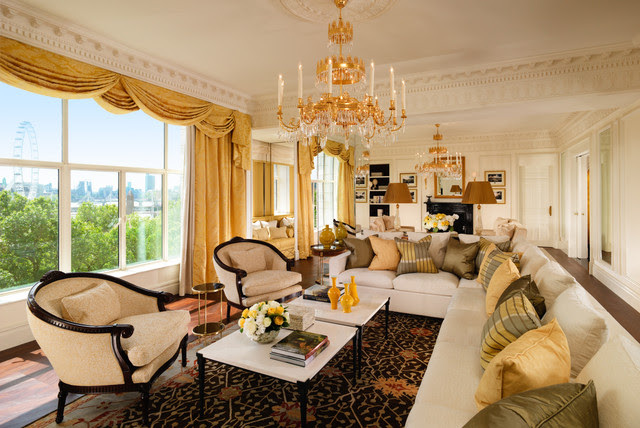 2) The Belmond Copacabana Palace regularly visited by the likes of Justin Bieber, Mick Jagger and Tom Cruise. 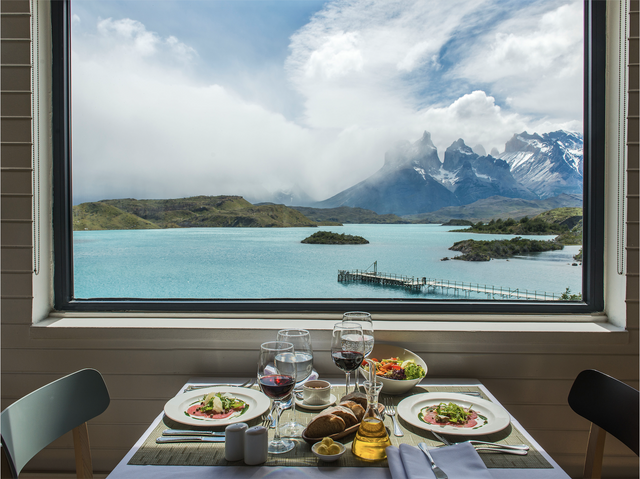 3) Explora Patagonia Hotel Salto Chico overlooking Lake Pehoé, this hotel is home to a huge 14,830-acre equine facility and sits at the bottom of the picturesque Patagonian mountains. 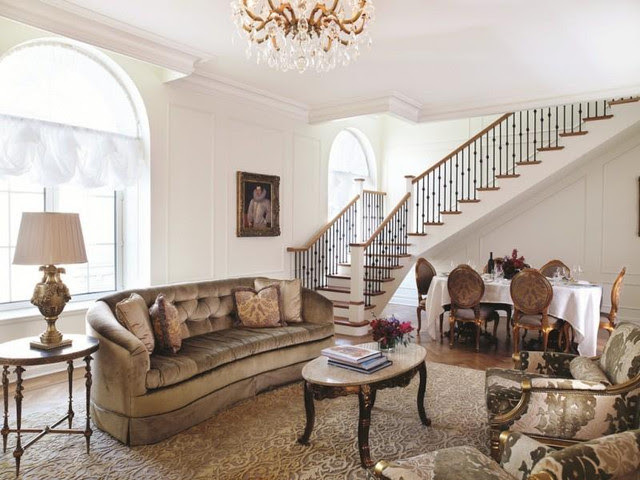 4) The Royal Suite at the Plaza, New York which features a library personally curated by Prosper Assouline. 5) The Royal Entourage at The Savoy, UK – where guests have the services of a bartender, spa therapist, stylist and beauty technicians, as well as the use of the American Bar which was recently voted Best Bar in the World for 2017. 6) The Four Seasons Hotel George V is the first hotel in Europe to house three Michelin-starred restaurants under one roof. Le Cinq, Le George and L’Orangerie have five stars between them making this an exceptional gourmand destination. 7) The Ritz Paris, France has recently undergone a $450 million renovation and is home to the world’s first Chanel spa, focused on fragrance, makeup and skin care. 2) Fogo Island Inn in Newfoundland, Canada – while Fogo Island Inn’s spectacular suspended build may be the star of the show, each of the hotel’s 29 guest rooms offers spectacular views out onto the dramatic landscapes surrounding the hotel. 3) Hotel Hangzhou at West Lake, Four Seasons, Hangzhou, China – sitting in a set of tranquil gardens on the shores of the West Lake (a UNESCO World Heritage site) the Four Seasons at Hangzhou blends traditional Chinese architecture and design with all the luxuries expected from one of the world’s most prestigious hotel brands. 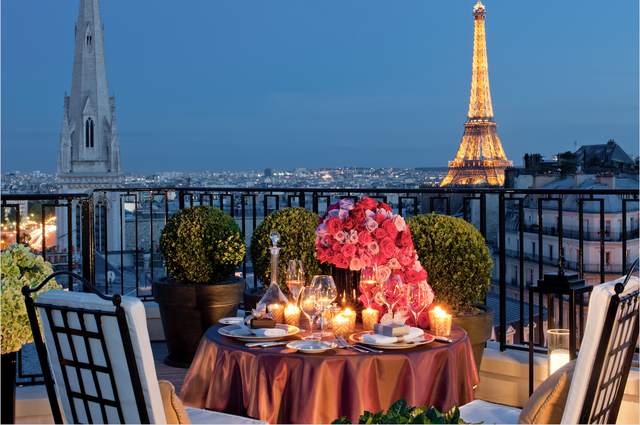 4) La Réserve Paris, Paris, France – With views over the Eiffel Tower, Grand Palais and the Panthéon, it’s easy to see why this beautiful French hotel makes our list, especially when you add in their two-Michelin-starred restaurant, Le Gabriel. 5) Le Royal Monceau, Raffles Paris, Paris, France – With two restaurants, its own art gallery and a 99-seat cinema, Le Royal Monceau is putting in a big claim for the best hotel in Paris. 6) Hotel Eden, Rome, Italy – Having closed for just under 18 months, Hotel Eden reopened back in April 2017, bursting back onto the scene with 98 new rooms and suites, unmatched views across the Rome skyline and Europe’s first spa to offer treatments from award-winning skin-care pioneer Sonya Dakar. 7) One&Only Palmilla, San José del Cabo, Mexico – Situated in the very chic Los Cabos, the One&Only Palmilla features the area’s only swimmable beaches and offers guests remarkable views of the Sand José del Cabo and the Sea of Cortez. 8) The Royal Mansour, Marrakech, Morocco – If a series of restaurants headed up by a three-Michelin-starred chef and accommodation in the form of 53 individual three-story riads isn’t enough to entice you to The Royal Mansour, then maybe the fact that the hotel is the city’s highest point (other than the tower of the Koutoubia mosque) offering unrivalled views across Marrakech is enough of an attraction. 9) Six Senses Zighy Bay Resort, Dibba-Musandam, Oman – With its own private beach, a live-in guest-experience manager and its own Omani dhow cruise boat, the Six Senses Zighy Bay Resort is easily one of the country’s most luxurious hotels. 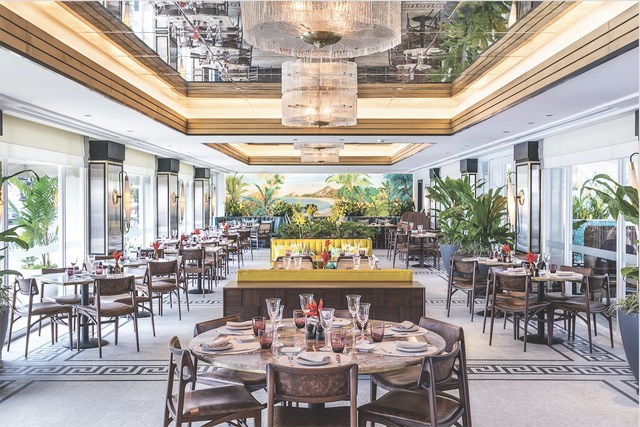 10) Shangri-La Hotel, Singapore – As the original Shangri-La Hotel, the Singapore outpost recently had a major makeover and is the perfect hotel to offer guests a peaceful getaway from the buzz of Singapore city centre. 11) La Residence, Franschhoek, South Africa – Overlooked by a series of beautiful mountains and surrounded by a series of vineyards and plum orchards, La Residence is a true sanctuary of calm, offering guests an amazing luxury hotel experience alongside quaint countryside views. 12) Chewton Glen, Hampshire, UK – The only British hotel to be added to the list for 2018, Chewton Glen is a gourmand’s heaven. Situated within 130 acres of beautiful forestry, the hotel is most well known for its amazing restaurant, The Dining Room, and for guests being offered the chance to receive cooking lessons from celebrity chef, James Martin. 13) Lanai, Four Seasons Resort, Hawaii, USA – After a somewhat sizeable cash injection from the fifth richest man in the world (aka Larry Ellison), Lanai has become the most desirable luxury destination in all of Hawaii. Sitting in an unspoiled and uncrowded island, the Lanai features some of the most awe-inspiring nature you’ll ever see. 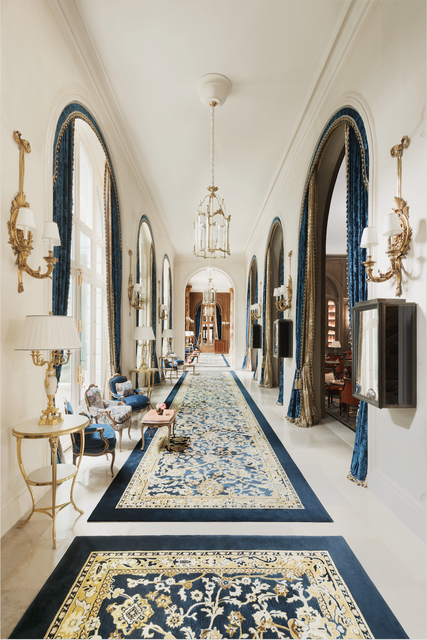 14) Plaza New York City, New York, USA – Set within a beautiful Beaux-Arts style building, The Plaza’s interior takes its inspiration from Louis XV interiors, with the Royal Suite featuring a grand piano and a personal library curated by Prosper Assouline.